San Diego-based restaurant chain which offered a full menu 24 hours a day with your choice of being served in your car by carhops or inside dining. 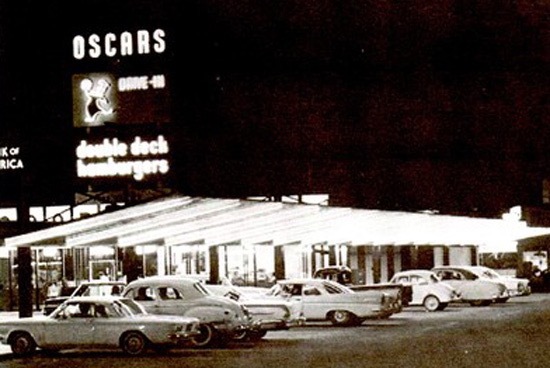 Founder Robert O. Petersen originally wanted to call his restaurant Bob's, but Bob Wian beat him with his Bob's Big Boy in Glendale, California. So he called it Oscar's from his middle name. In the early 1950s, Petersen started the Jack in the Box chain. Since he was known as simply Bob Petersen, most people had no idea that he name it after himself.